Private parking is available on the east side of the funeral home. A wheelchair ramp is located on the west side of the chapel. Ronald Koster, age 75, passed away, Sunday July 22, 2018. He was born in Grand Rapids, MI. Ronald was raised in Wayland and Bangor, Michigan. He graduated from Bangor Schools in 1961. 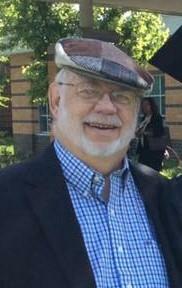 Ron then went on to study at Hope College and graduated with a Bachelor’s degree in Chemistry in 1965. From 1965 until 2001, Mr. Koster worked as a chemist in the pigment division at BASF. Ron met the love of his life, the late Patricia (Smith) in Bangor, MI and they were married for 41 years. He enjoyed playing cards, reading and fishing with his grandchildren. Ron was preceded in death by his spouse, Patricia, in 2006; parents, Gerard and Jennie Koster. He is survived by his daughter, Lori DeLand (Monte Scott); son, Dave (Paula) Koster; brother, Richard Koster; sister; Roxanne (Bill) Helder; sister in-law, Louise Koster; brother in-law, Jim (Mary Sue) Smith; sister in-law, Judy (Ted) Zindler; grandchildren, Adam, Evan and Nathan DeLand; Sean and Regan Koster; several nieces and nephews. Visitation will be held 6:00 p.m. to 8:00 p.m., Wednesday July 25, at the Dykstra Funeral Home – Downtown Chapel, 29 East 9th Street, Holland. A funeral ceremony will take place 11:00 a.m., Thursday July 26, at Fellowship Reformed Church, 2165 W. Lakewood Blvd, Holland. Rev. Jim Baar officiating. Interment will be in Lakewood Cemetery. Memorial contributions can be made to the American Heart Association, 3940 Peninsular Dr. SE #180, Grand Rapids, MI 49546 or to Fellowship Reformed Church, 2165 W. Lakewood Blvd, Holland, MI 49424.